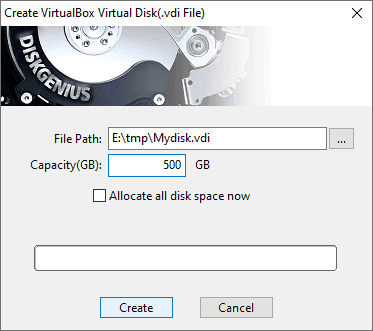 DiskGenius allows to create VirtualBox Virtual Disk File (VDI) and manages files and partitions on the disk without running the virtual machine. 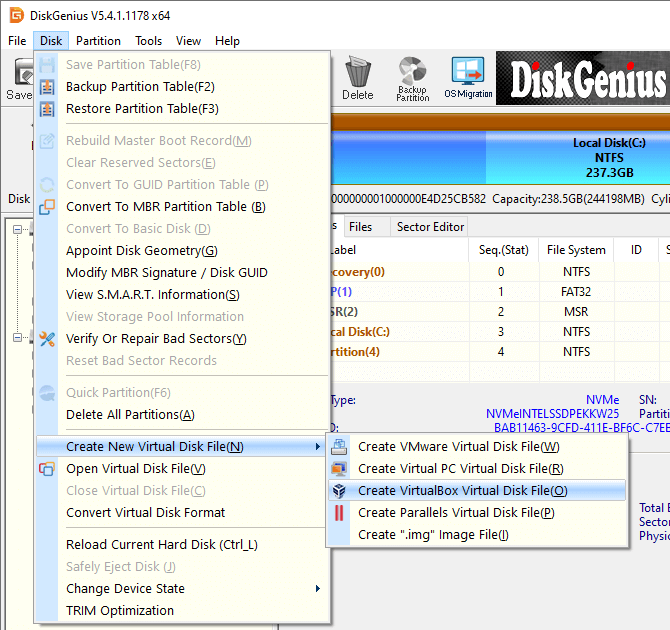 Step 2 Set file path, file name and capacity; also, if necessary you can check the option "Allocate all disk space now". Click "Create" and the virtual disk file will be created.